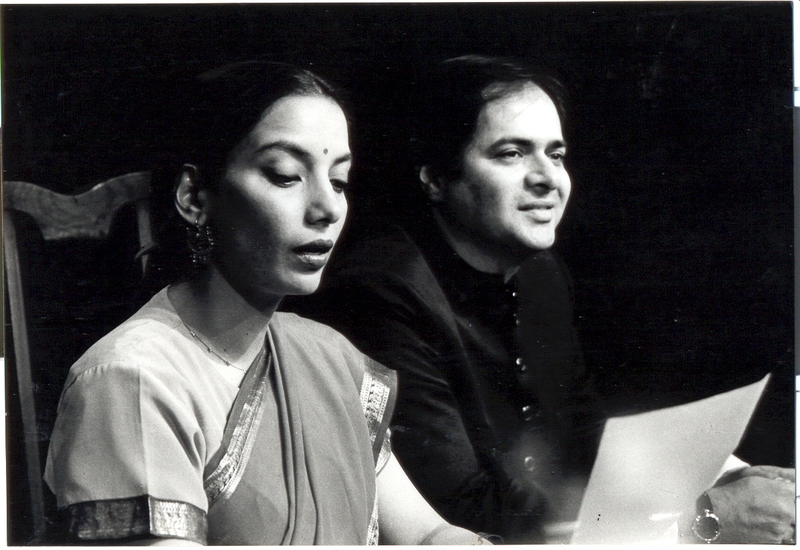 The play that has a starcast of Shabana Azmi and Farooq Sheikh,is always a must watch. Ever sinceI had read about the play, I was looking out for any performance happening in Mumbai. Luckily, I came across one at the Tata Theatre, NCPA. Yes, the tickets were slightly costly i.e. Rs. 320, which is more than our average budget of an IITian’s play watching allowance (which is not more than 80rs on a Tuesday Prithvi Show). But then, not every day you get a chance to watch Shabana Azmi and Farooque Shiekh perform, and that too on the prestigious stage of the Tata Theatre at NCPA. ‘Tumhari Amrita’ is a play in Hindustani written by Javed Siddique and directed by Feroz Abbas Khan. It is an Indian context adaptation of A. R. Gurney’s hugely popular American play, Love Letters (1988) in Epistolary form (a form of play written as a series of documents like letters, diary entries or newspaper articles). It made its debut on the February 28, 1992 and has been performed more than 300 times in the past 19 years. It is a love story told through the exchange of love letters spanning 35 years between two people from very different backgrounds. The story revolves around the two chief characters, Amrita Nigam (Shabana Azmi) and Zulfikar Haider (Farooq Sheikh), starting with Amrita’s eighth birthday party in the 1940, when she first wrote to the ten-year-old Zulfi. The play has the simplest production and lights and sounds that I have seen in theatre. There were just two chairs and two tables in terms of prod. The actors remained seated all the time, did not memorize the script and just read out the letters kept on their writing desks throughout the performance. In terms of lights, there were just two overhead spots on the two actors and no background music at all. The beauty of the play lies in the way the story unfolds through the letters. It spanned over a period of 35 years and the pains and joys that the characters go through from childhood to adulthood, are depicted utmost convincingly only by the emotions and modulations in the reading by the two accomplished actors. There must have been more than 50 letters that each of them read and the flow of the story was brilliant. Among the things I liked the most about the narrative, were the casual “Naye Saal ki Shubhkamanaaye” and “Happy Birthday” letters that came during the course of the story. The casual non-chalant use of these provided perfect pauses between the interactions through the letters. Although the play had a serious story and relationship budding through it, the humour through the some of the letters and specifically the description of the sketches made by Amrita Nigam (Shabana Azmi) kept the audience alive and smiling. There were times in between, possibly post interval, when the narrative started to get slightly lengthy but it was more than made up with the amazing end. The last letters by both the characters ended the play on a great high. Farooq Sheikh was really good especially his Hindustani diction, with the flavour of his typical Urdu accent. Although, it is tough to compare between actors of such stature, but Shabana Azmi stole the show for me. It must have been because her character gave her a lot of variety but her smile and the depiction of the wild streak in the painter, Amrita Nigam came out amazingly well through her portrayal. Lastly, I’d say it surely is a play worth watching for a completely different theatrical experience. It teaches you the power of a script. It shows that you don’t necessarily need awesome technical requirements to create an impactful play; you just need a story worth telling and the vision to tell it in a unique yet simple manner.